The Heritage Foundation and Wall Street Journal’s 2012 Index of Economic Freedom (the “Index”) ranked Hong Kong as the freest economy in the world ahead of other leading global financial centers such as Singapore, Switzerland, Ireland and the United States for the 19th consecutive year. The Index’s number one rating of Hong Kong emphasized the jurisdiction’s “simple and efficient” tax system for both salary and corporate taxes, which makes it easier to carry on international business activities from within the territory. There are no taxes on dividends, interest or capital gains. Any distribution made by a HK private limited company to parties outside of Hong Kong is free of withholding tax. 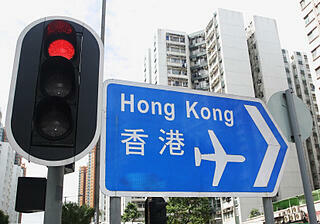 Hong Kong’s estate duty was abolished in 2006. There are many applications of the territorial tax concept in the operation of international business transactions. For instance, a Hong Kong trading company which purchases finished goods (e.g. OEM garments or electronics, raw materials, etc.) from mainland China and sells wholesale to buyers in Brazil will be exempt from Hong Kong’s profits tax if the trading company can demonstrate to the Hong Kong Inland Revenue Department (“IRD”) that the source of trading profits was acquired via offshore sources (i.e. in Brazil). In practice, the IRD will look at the totality of facts including the flow of paper, flow of goods/services and flow of money before determining whether the profits of a trading company were derived from a place outside of Hong Kong. An advance ruling for profits tax purposes on the source of profit can be obtained from the IRD should a trading company wish to seek clarity in its business operations. The certainty that such a ruling can provide to enterprises involved in international business transactions, combined with the advantages of the territorial tax system, make Hong Kong an especially attractive jurisdiction in which to do business. This article is provided for general informational purposes only and should not be considered or relied on for tax or legal advice. Please seek competent tax and legal advice for your specific transaction requirements. See Tax Rates of Profits Tax posted on Hong Kong Government website.